This thread is to recommend some of the undiscovered places in Korea for those who love a little adventure to self-drive or go on a driving holiday to explore Korea. 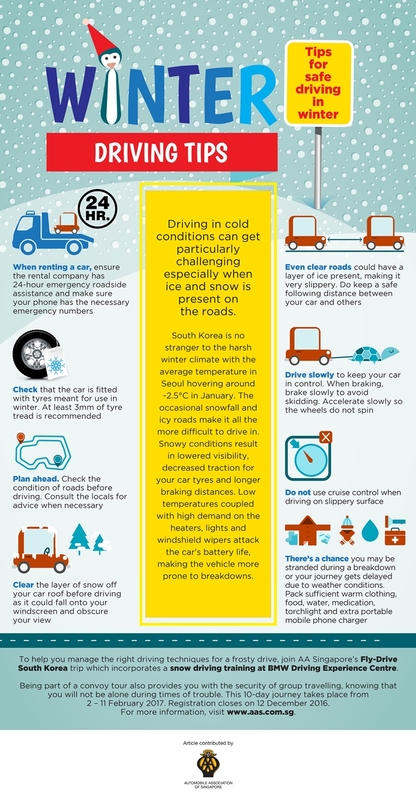 To start off, we would like to share more about what you need when preparing your driving holiday in Korea. 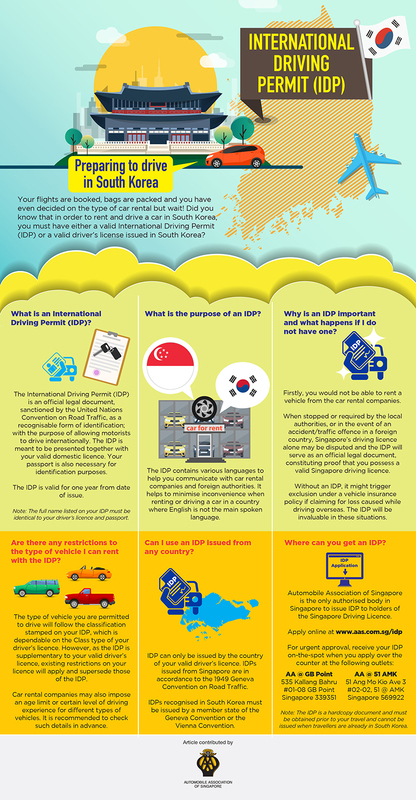 Stay tune to this thread as we bring you more information to inspire your driving holiday in Korea! Thanks for the tips. Indeed it is fun seeing places on a self-drive trip in Korea. Generally Korean drivers are also courteous and patient drivers who will give way to lane changes, entering or exiting highways. Many of the traffic junction got U-turn only lanes on the left, followed by left turn lane. This is rather unlike US or Taiwan or SG. And drivers should observe left turn lights where applicable. Be prepared for frequent changes in speed limit from 100/80 to 60 kph on the same road. Also, Google Maps won't work with car navigation. Use Naver or Kakao Maps. Thinking of where to head to in Korea during the New Year? 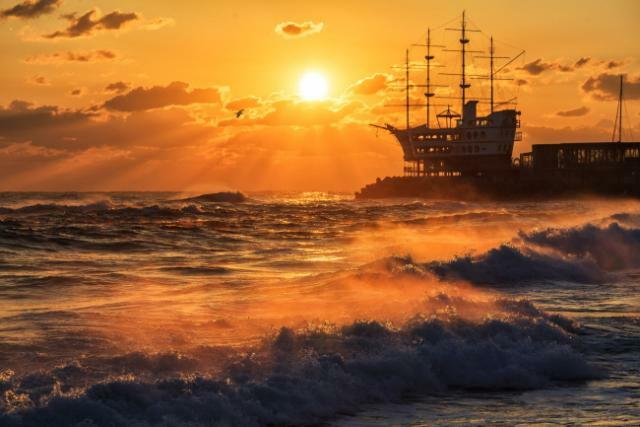 Here we share with you where to head to in Korea for the last sunset and the first sunrise of the year to feel extra-special. Many viewing spots in Korea hold annual celebrations on New Year’s Eve and on the day of the New Year to welcome this once-in-a-year event. Here are some of the good spots to watch the sunrise of the year. However if you are stuck in Singapore on New Year Eve, not to worry the sunrise is still as beautiful if you are planning a driving trip to these spots in Korea in the future for the best instagrammable sunrise pictures! Jeongdongjin gets its name from the word jeongdong, which means due east in Korean, as it is exactly due east from Seoul's Gwanghwamun Gate. Its train station is known to be the world's nearest train station to the ocean. Watching the first sunrise of the year from Jeongdongjin will be a unique experience to begin the upcoming year. Homigot is located at the easternmost end of the Korean peninsula, in what is thought to be the tail of the tiger based on Korean peninsula geography. Following the resources of Korea Astronomy and Space Science Institute, the sunrise time of Homigot is at 7:32 am, making it the earliest sunrise in Korea since January 1, 1999. Sangsaeng’s Hand, a two-part bronze sculpture shaped like a pair of hands, was constructed in December 1999 after starting the construction work in June. It is a signature symbol of the sunrise festival. 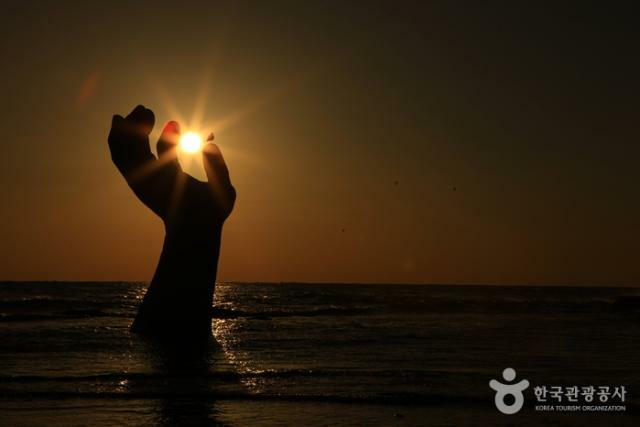 The left hand is on the land and the right hand is in the ocean. It was built to give the message that all people are living together by helping one another like Sangsaeng, meaning coexistence in Korean. The base of the platform is an image of the sun and its two round rings refer to harmony. These two hands have memorial sprits of reconciliation and coexistence for celebrating a new millennium. If you’re looking for more of an exotic sunrise view, head to Incheon’s Sorae Ecology Park. 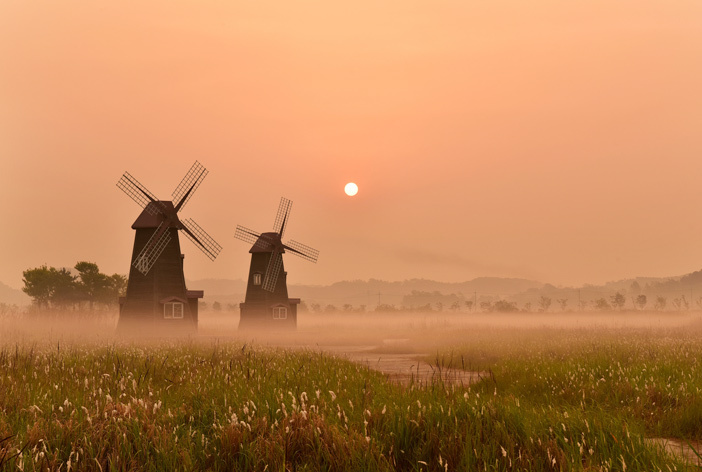 The sun rising behind the windmills in the field will have you feeling as if you travelled to the Netherlands. On winter mornings, the whole park is filled with mist rising off the marsh, providing even more light diffraction for a fantastic sunrise. 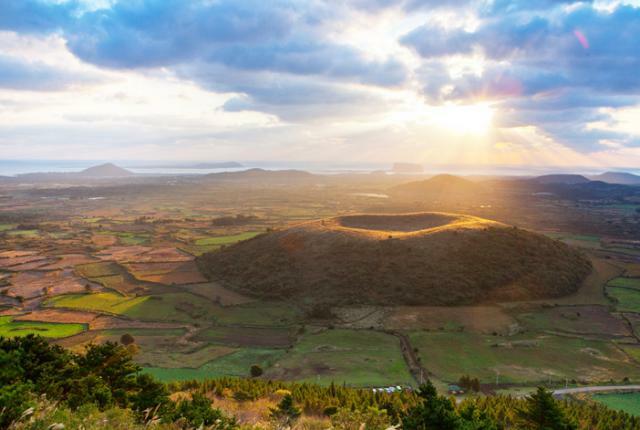 Seongsan Sunrise Peak rose from under the sea in a volcanic eruption over 100,000 years ago. Located on the eastern end of Jejudo Island, there is a huge crater at the top of Seongsan Ilchulbong Peak. The crater is about 600m in diameter and 90m high. With the 99 sharp rocks surrounding the crater, it looks like a gigantic crown. While the southeast and north sides are cliffs, the northwest side is a verdant grassy hill that is connected to the Seongsan Village. As its name suggested, it is definitely one of the most beautiful place on Jeju island to capture the sunrise! Hope the above recommendations gave you some inspirations on where you can hunt for the best sunrise locations in Korea. 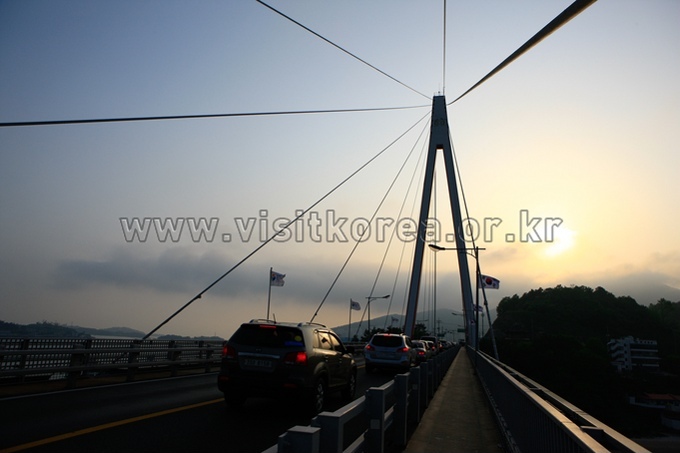 Do stay tune as we bring you more information about your driving holiday in Korea. Similar to Singaporeans, Korean also celebrate the Lunar New Year and it is known as Seollal. Seollal is one of the most celebrated national holidays in Korea. While many observe Sinjeong (Solar New Year; January 1 of the Gregorian/Western calendar), Koreans also celebrate Seollal, which usually lasts for three days (the day of, the day before, and the day after). More than just a holiday to mark the beginning of a new year, Seollal is truly a special occasion for Korean people. Not only is it a time for paying respect to ancestors, but it is also an opportunity to catch up with family members. During Seollal, Koreans usually perform ancestral rites, play folk games, eat traditional foods, listen to stories and talk well into the night. PS: We know it is tempting and you can’t take your eyes off these beautiful cherry blossoms, do take care when driving. Safety first! Gyeongpodae Pavilion is famous for the view of the moon on the 15th day of the first lunar month. It is a large, tall pavilion, and its architectural feature of a paljak (eight-point) roof, is the most common form used in Korean buildings. During spring, the 4.3km road around the Gyeongpodae Pavilion is lighten up with beautiful cherry blossoms. Drive along this road up to the pavilion for a stop to capture the beautiful pavilion along with these cherry blossoms. Chungcheongnam-do is mostly composed of plains and is a vital transportation hub connecting Seoul with the southern region by both rail and road. Located in the center of northwestern region of Chungcheongnam-do Province, Yesan county serves as the transportation hub in the region. 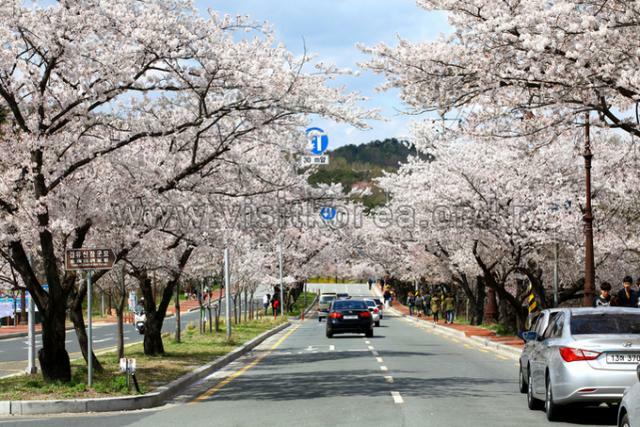 A stretch of almost 6km road from Ganyang junction to Jugyo-ogori is lined up with rows of cherry blossom. 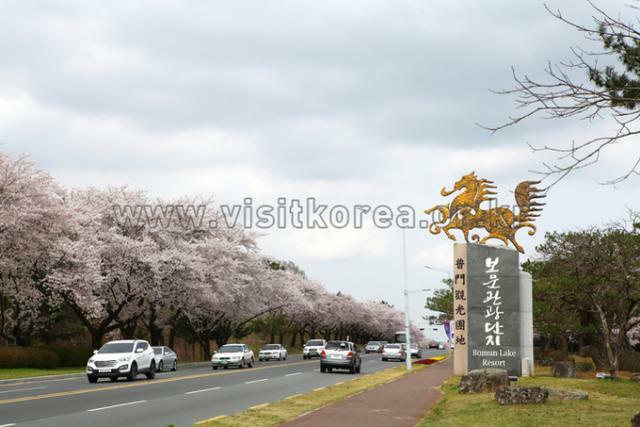 If you are planning to travel around Korea, drive through Yesan county to check out the cherry blossom and try out the Yesan apples (famous in Korea). The Simni (10ri) Cherry Blossom Road is a 6 kilometer road that stretches from Hwagae Market to Ssanggyesa Temple in Hadong-gun, Gyeongsangnam-do. The road is often called the "wedding path," because it is said that couples who walk along the road on a spring day when the cherry blossoms are in full bloom will fall deeply in love with each other. 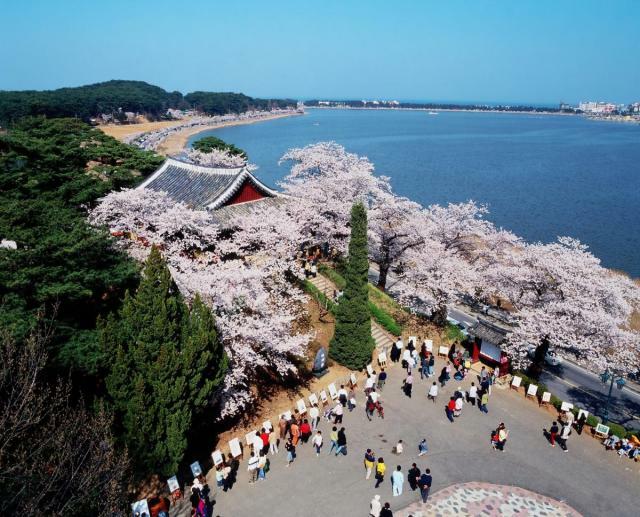 In addition, the annual Hwagae Cherry Blossoms Festival takes place around April when the cherry trees are in bloom, offering more attractions for people walking the path connecting Hadong Hwagae Market and Ssanggyesa Temple. Every year around early April, visitors flock to Jinhae in Changwon, Gyeongsangnam-do to enjoy the spectacular cherry blossoms that blanket the whole town at Korea's largest cherry blossom festival, Jinhae Gunhangje Festival. Anmin Hill is the gateway to Jinhae from Changwon. 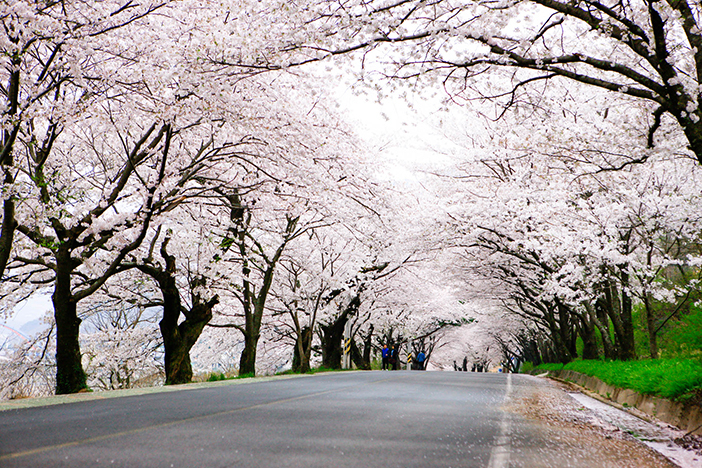 The road up the hill features a 6 kilometer stretch of beautiful cherry blossoms on both sides. Near the hill top are azalea fields in full bloom, combining with the cherry blossoms for a beautiful scene. The area is usually free of traffic, and it is an excellent place to take a walk under the shades of the cherry blossom trees. The top of Anmin Hill at night offers splendid views of Jinhae City where street lights illuminate the cherry blossom trees. There is no place like Gyeongju, where you can trace the full history of a dynasty. As the capital city of the Silla Dynasty, which lasted about 1,000 years from 57BC to 935AD, Gyeongju is a unique city with all the traces of a long history and culture. 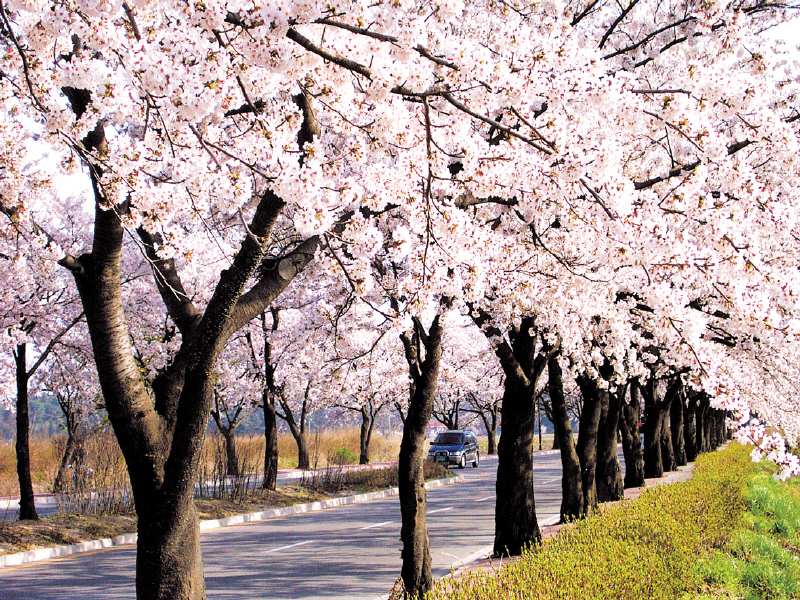 Unlike other cities or towns where cherry trees are only found in certain areas, Gyeongju is packed with cherry blossoms. 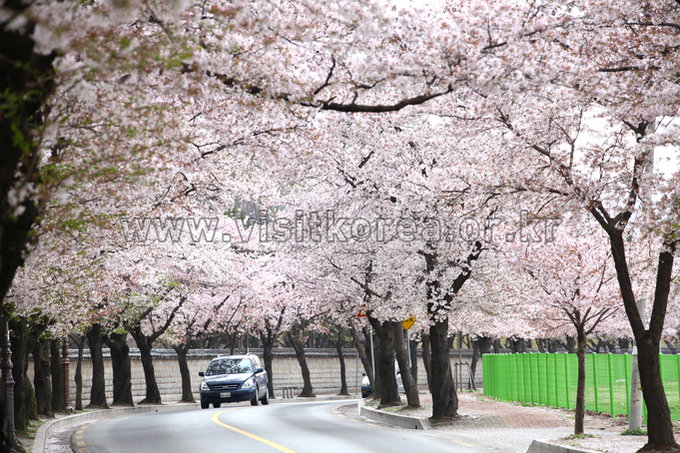 When spring arrives, the whole cityscape turns pink with the beautiful blossoms. The combination of the stunning trees reflected in the waters of Bomunho Lake and the trees of Bulguksa Park gracefully adorning the nearby temple make for particularly stunning sights. When the light breeze blows, cherry blossoms gentle flutter down like satin snow flakes. Drive along the road towards Daereungwon Park and you will be welcomed with rows of beautiful cherry blossoms along your way. Daereungwon Park is where the Cheonmachong Tomb (Ancient Tomb No. 155) is. A visit to this tomb to understand the history of the Silla period whose capital was Gyeongju city. This tomb was excavated in 1973 along with a total of 11,526 artifacts, including Cheonmado, an artwork considered to be highly valuable as it is Korea's first artwork to be excavated from an ancient tomb. The district of Jeollanam-do is located on the western coast. Its county office is in Dongmu-ri, Yeongam-eup. 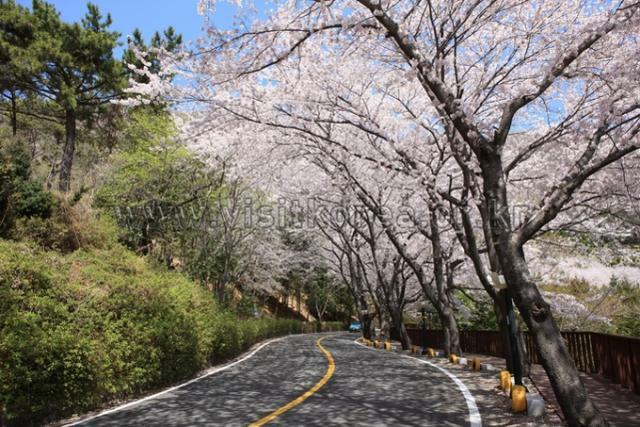 The 100 (baek-ri) ri cherry blossom road covering almost 40km road lined up with cherry blossom in Yeongam county. Every April along with the full blossom of the cherry blossom, visitors joined in the Yeongam Wangin Culture Festival to commemorate the achievement of Korea’s Dr. Wangin, who traveled to Japan over 1,600 years ago to spread Korean knowledge, culture, and arts. 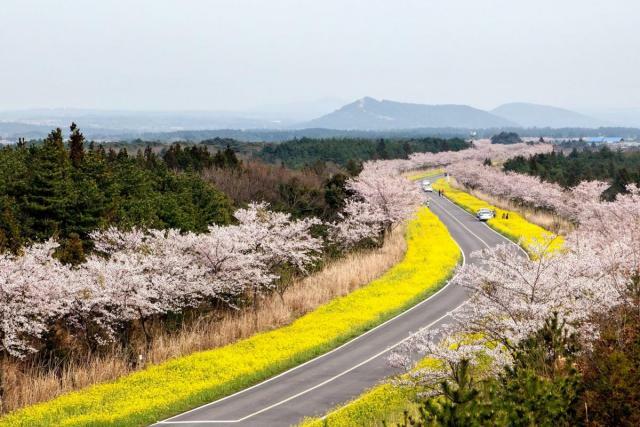 If there’s one especially colorful, cherished memory you could take with you from Jeju Island, it might be a trip to Noksan-ro, where small yellow canola and pink cherry blossoms line the road. 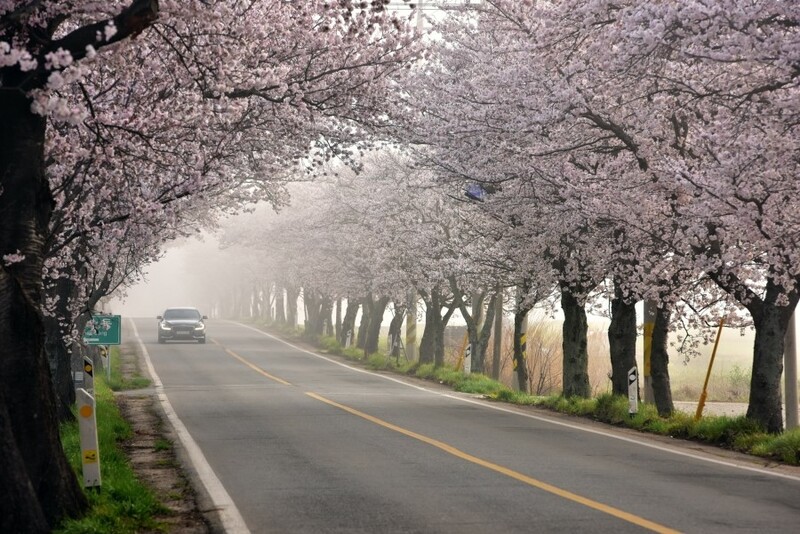 The road extends about 10 kilometers and is considered to be one of the top 100 most beautiful roads in Korea. 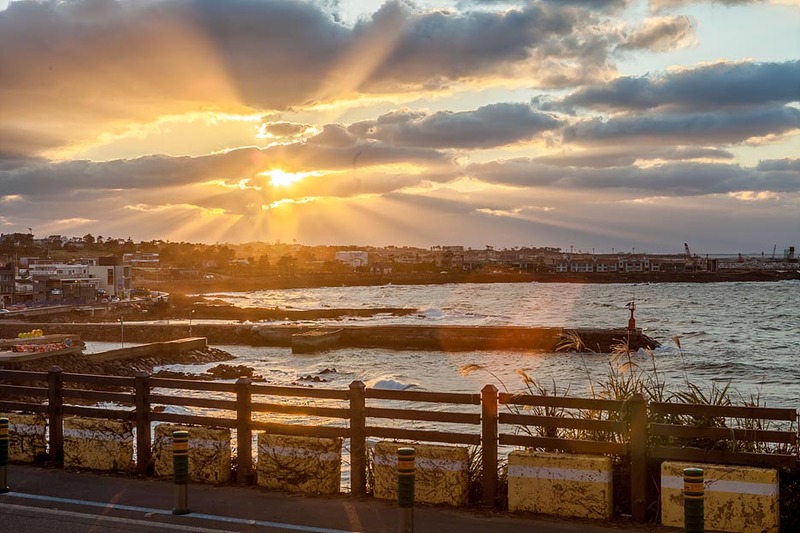 Images of this place are certainly representative of Jeju in the spring, and as such attract visitors and locals alike. Check out this thread as we bring you more information and ideas for your next driving holiday in Korea! If you are keen to explore Korea on wheels but still appreciate safety with group travelling? You can try out AA Singapore (Automobile Association of Singapore)'s Korea Fly-Drive holidays where you will be driving in a car convoy. They are planning for a spring drive this year April to Jeju island, for more information please refer here. Edited by KTOSingapore, 07 February 2019 - 10:07 AM. Is there a flower forecast for 2019 for korea? Going to visit Korea late March and wondering if the flowers will bloom early like Japan. The flower forecast for 2019 is not out yet but judging from the current temperature (which is warmer compared to last year) it is likely going to be early this year. Nevertheless, once the flower forecast is out we will published it here too so do stay tune! If you are looking forward kind of cherry blossom, it's a bit hard to forecast exact time. It is because every year whether condition vary and cherry blossom period is quite short like a week. It could be even worse if there is rain as flower will drop. So it is quite depends on luck. As promised, we are here to share the cherry blossom forecast for 2019! As predicted cherry blossoms start blooming 4 - 7 days earlier than average. According to Kweather, Jeju-do will see the first cherry blossoms around March 21. Cherry blossoms will bloom in Busan, Gwangju, Jeonju, Daegu and other southern regions around March 22 - 31, and reach Seoul, Incheon, Daejeon and other central regions around March 31 – April 7. For those visiting around the period, enjoy and good luck to your cherry blossom chasing in Korea! As predicted cherry blossoms start blooming 4 - 7 days earlier than average. According to Kweather, Jeju-do will see the first cherry blossoms around March 21. Cherry blossoms will bloom in Busan, Gwangju, Jeonju, Daegu and other southern regions around March 22 - 31, and reach Seoul, Incheon, Daejeon and other central regions around March 31 â April 7. Hi, any recommend car rental company for Jeju Island? 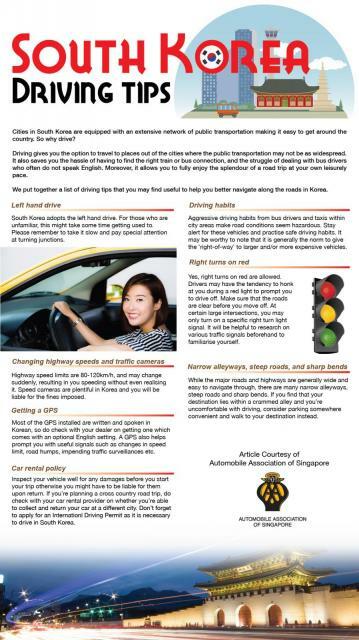 Yes, you may refer to http://english.visit.../TP_ENG_8_3.jsp on the instructions on renting and driving car in Korea. There are a couple of rental companies you can refer to at the bottom of the page. Otherwise, you may also refer to Jeju Tourism Organization's website for more of the list of car rental companies in Jeju (however they do not have any website you can refer to and you have to contact them via their hotline). Will be there next week. Any tips on whats the cheapest option for data plan. Get in sg or buy in korea? Actually cheapest doesn't necessary means the most suitable for your usage.  Hence you are the best person to compare what you need in order to get the best cost-effective option. In case, you have no idea where to check for a data plan in Korea, you may refer to http://english.visit.../TV_ENG_1_4.jsp (under Mobile Phone Rentals and Roaming Service or Sim Card Purchase (Korea SIM Card). From the provided links, you can then find out the available options you have in Korea and compare it to the ones available in Singapore. Hi, I'm planning a 2 week trip in late Nov - Dec 2019. Intend to enter and exit via Busan, make a round trip to the Pyeongchang Ski region, Seoul and back to Busan. Any suggested itinerary and by car? Will snowfall be heavy and difficult to drive? Will be skipping Jeju as we had driven there before. Edited by Wildfaye29, 24 March 2019 - 08:09 PM. Thanks for the live updates! The forecast is usually plus minus 3 -4 days. Will pray that you get to see the cherry blossom. Nevertheless, do enjoy your trip in Jeju. Great to hear that you are travelling to Korea this year! Do stay tune as we will be sharing the recommended scenic coastal routes in Korea which you may then incorporate into your 2 weeks driving holiday. Nov - Dec is the start of winter and you are unlikely to encounter heavy snow for the southern part of Korea. 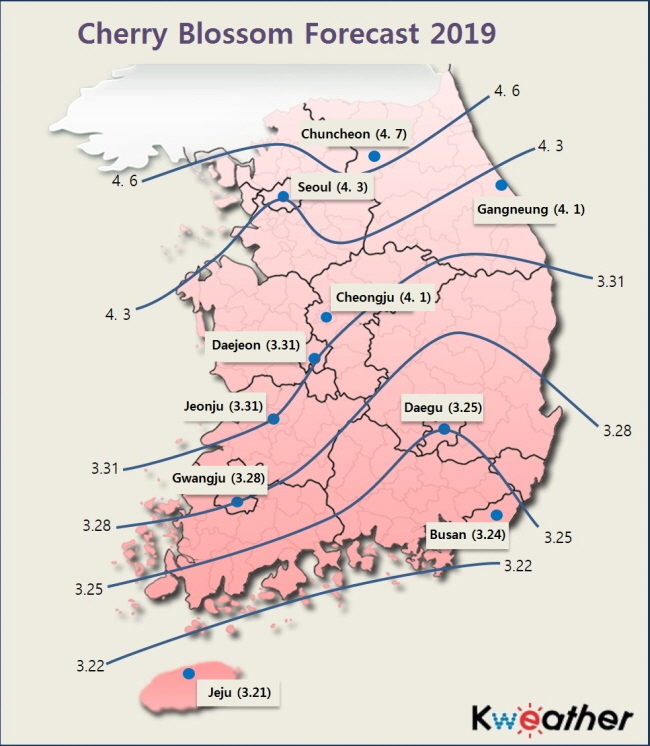 Perhaps in Dec, you probably will experience some snow (likely) up north, around the mountainous area and in Gangwon, in particular Pyeongchang area, as they see the highest snowfall in Korea. Looking forward to your sharing to incorporate into my 2 week trip this year! TGIF!! We are back to share more insights of Korea. 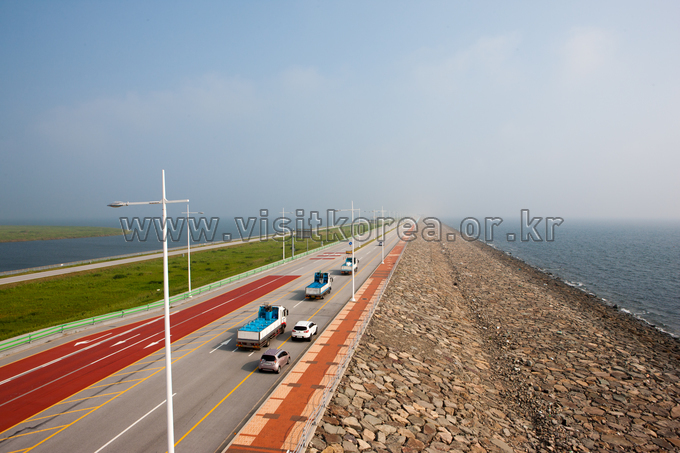 Korean peninsula is surrounded by the ocean on three sides, giving Korea its unique geographical feature and also the advantages of driving along these coastal routes to enjoy the sceneries of the sea/ocean. Here are some roads/attractions you may want to consider for your driving holiday to enjoy the beautiful sceneries. 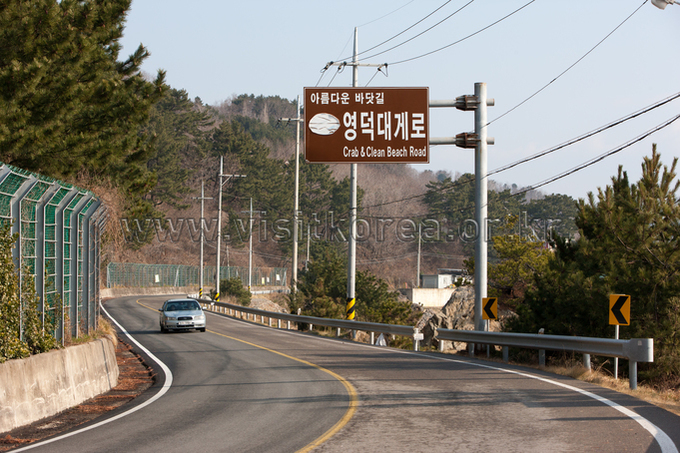 Heonhwaro is a road connecting Jeongdongjin (in the north) to Okgye beach (in the south). It is also known as the nearest road to the sea in Korea. 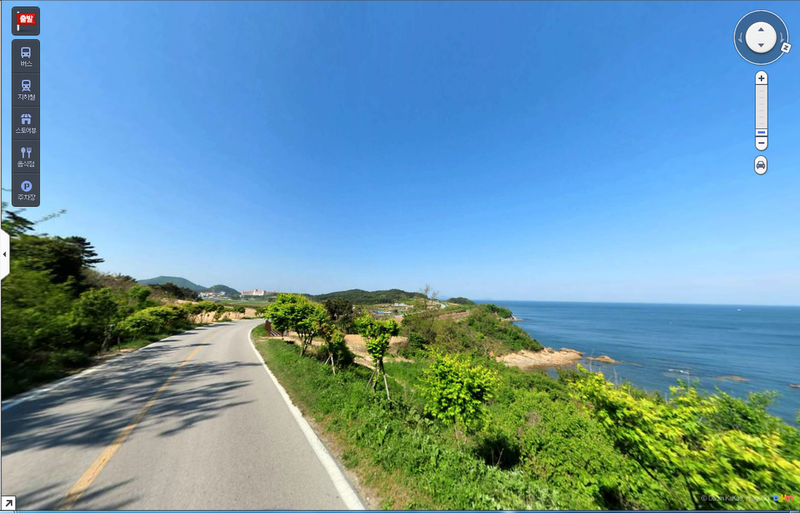 The changing landscape of the east sea along this curved coast road unfolds as one drives along the Heonhwaro. As you drive along this road, the serene white sand unfolds along with the majestic rocks. You may even spot some people moving wildly on a surfboard along the beach, while others fishing among the rocks. Located on the coast of the East Sea, Yeongdeok Crab Village is famous for its classical scholars, and its wonderful scenery, where the mountains meet the eastern sea. 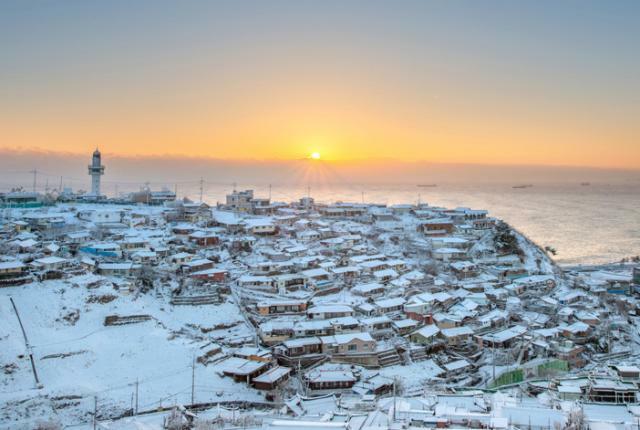 The traditional fishing village is the home of Yeongdeok snow crab that was well-known, there is also a huge street just for snow crabs, packed with around 100 shops selling crabs along the Gangguan Port. When the season for snow crabs arrives in November, lasting through May, the village is crowded with visitors from all over the world eager to try Yeongdeok snow crabs. Why not check out Yeongdeok for a feast of snow crabs as well as drive along Yeongdeok Daegye Road to enjoy the scenery too. Located on the south-west of Korea, Jeollabuk-do is bountiful in traditional cultural heritages and historical sites. It is the setting of the famous pansori “Chunhyangjeon,” and a city famous for its hanok village and bibimbap. 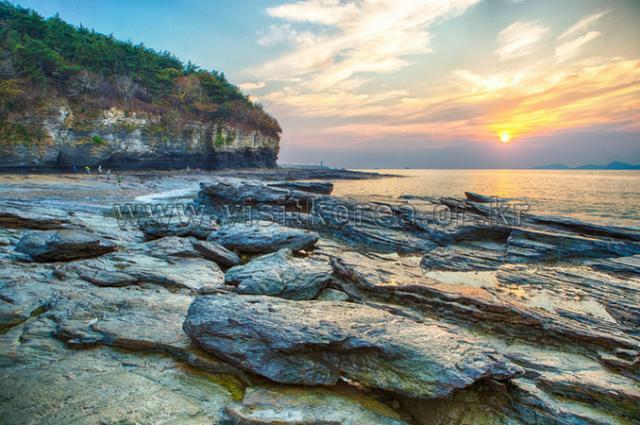 Gunsan city and Buan county in Jeollabuk-do are located along the west coast of Korea which provide a scenic view of the west sea. Cluster of islands (Sinsido, Seonyudo, Jangjado, Munyeodo, etc.) makes for a breathtaking scene that it is affectionately known as the ‘Star Above the Lake.’ Sinsido, one of the most beautiful islands in the cluster, is located at the center of the Saemangeum Sea Wall connecting Gunsan and Buan. 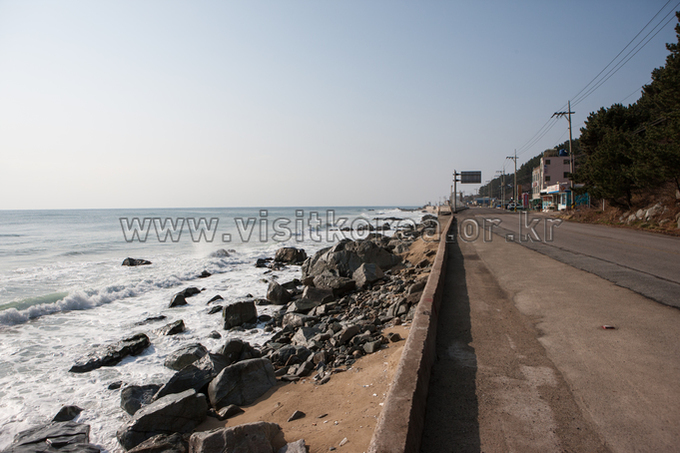 The sea wall itself is also a point of interest as it is the longest (33.9km) of its kind worldwide. 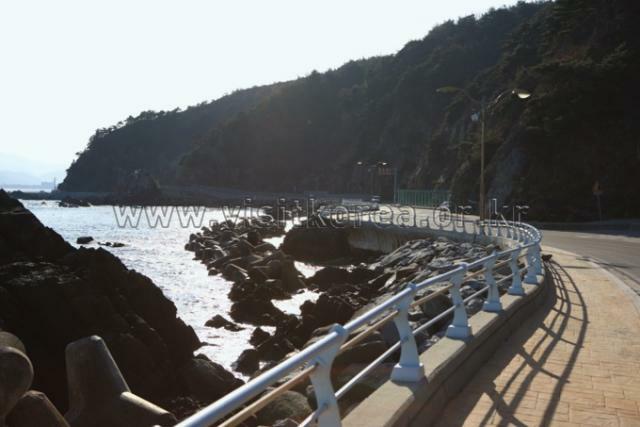 Once into Buan, you may drive along Byeonsan haebyeon (beach) road towards Chaeseokgang and Jeokbyeokgang Cliffs. Located in the Byeonsanbando National Park’s shore area, this road allows the drive view of the greenery of the National Park and glimpse of the west sea as you drive closer to the coast towards Chaeseokgang. Chaeseokgang refers to a rocky cliff and the sea around it, situated in the Gyeokpohang and Dakibong areas on the Byeonsan Peninsula. Chaeseokgang was created from many layers of rocks stratified by the sea, and the blue sea and the rock cliffs together create quite a lovely picture. It is nature’s masterpiece of stratification, and you can see interesting structures and shapes here that are not seen elsewhere. Frequently referred to as the Naples of Korea, Tongyeong in Gyeongsangnam-do and Geoje, a large island surrounded by many smaller islands, offer fantastic scenic views and are ranked as one of the must-go travel destinations of Namhae. Evergreen trees surrounded by emerald seas and complemented by the clear blue skies, this is definitely the perfect destination for those seeking a relaxing and laidback travel. 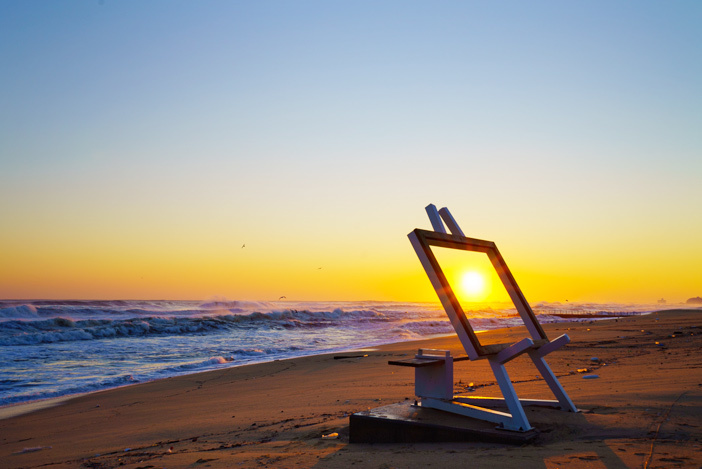 So take a tranquil seaside escape to the southern end of the Korean peninsula today! Connecting Busan with Geoje, Geoga Grand Bridge not only shorten the distance between the two places from 140km to 60km but also provide a scenic view of road across the beautiful sea in the southern part of Korea. 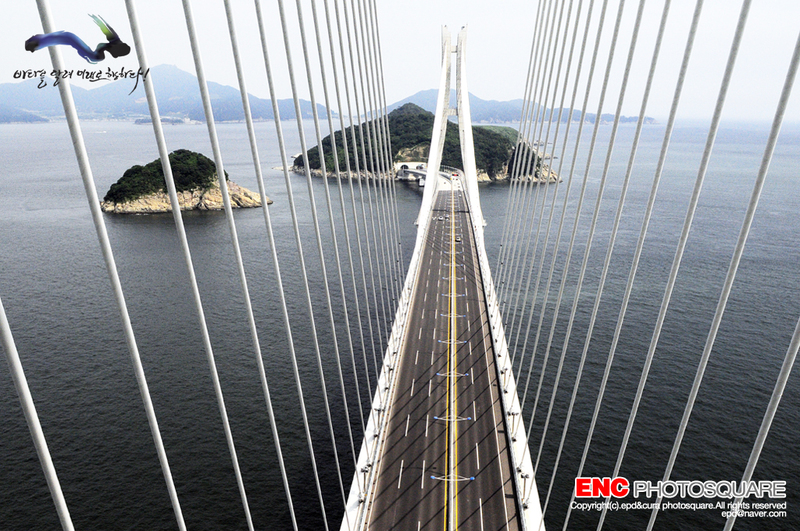 The Geoga Grand Bridge is connected to the Geogadaero which includes a 3.7km tunnel underground tunnel hence one will be greeted by the welcoming sight of the beautiful sea scenery as they exit the tunnel onto the 4.5km bridge. The city of Yeosu, situated at the southern end of the Korean peninsula, is surrounded by many islets and coastal beauties that draw in visitors all year round. Offering both natural and manmade attractions, the region has been dubbed one of the most beautiful ports in the nation, where multitudes of tourists and residents go for enjoyable holidays and short weekend trips. 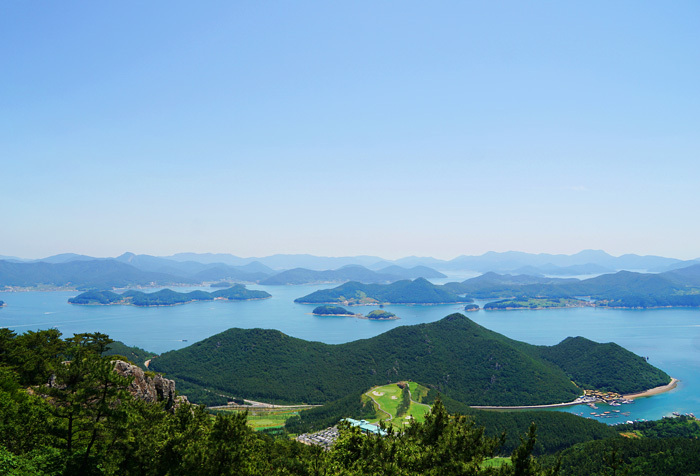 The surrounding archipelago of the vast Namhae Sea is comprised of over 300 islands, most of which are uninhabited. Yeosu also has a great nightscape of lights reflecting off the pitch-black sea. The lights from Dolsandaegyo Bridge and the neighbouring lighthouse make for a striking scene, which is why it’s not surprising to find couples hand in hand walking along the beach side. 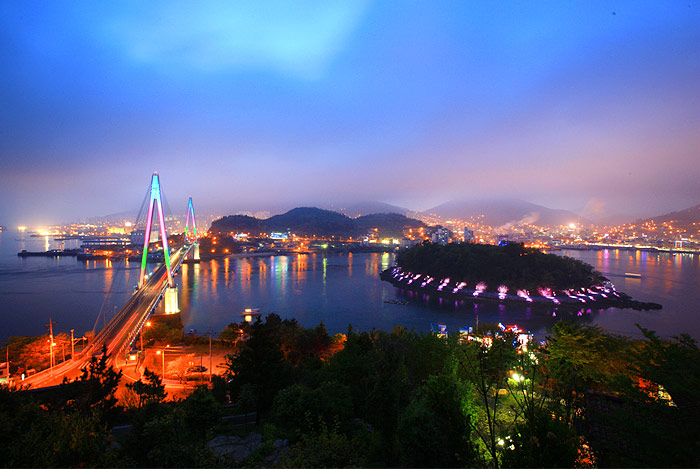 In addition to the night’s gleaming marine lights, the Namhae Sea gives off a tranquil charm and maintains a warmer temperature than that of inland areas, giving all the more reason for you to visit and discover more. 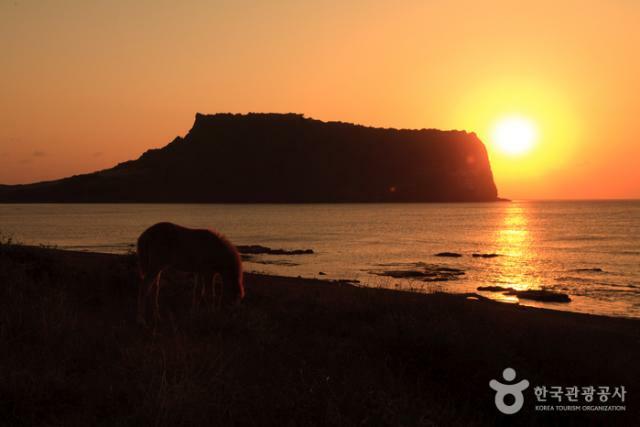 Did you know that Jeju island is also known as Samdado? Samdado (三多島) literally means an island with three things in abundance: wind, stones and women. If you have been to Jeju Island, you probably will agree to that as the island is very windy with plentiful of stones and her active disposition of Jeju’s women –the haenyeo (Jeju’s women divers). Aewol Coastal Road is lined with strangely shaped black volcanic stones that appear to have been sculpted and dizzyingly large and small cliffs. This refreshing and dramatic spectacle promises an eye-opening drive with white waves crashing against the vertical cliffs and black volcanic stones. The jade-colored ocean also makes a beautiful scene on Aewol Coastal Road, which is one of the most commonly and easily navigated driving courses for self-driving visitors. Driving along the winding route and admiring the curves of the beach is an unconventional driving experience with a charm on its own. Going around the corner of the coastal road’s entrance will lead to a refreshing bird’s-eye view of the unfolding beach, and beautiful restaurants, cafes, and lodgings can be found along the road. 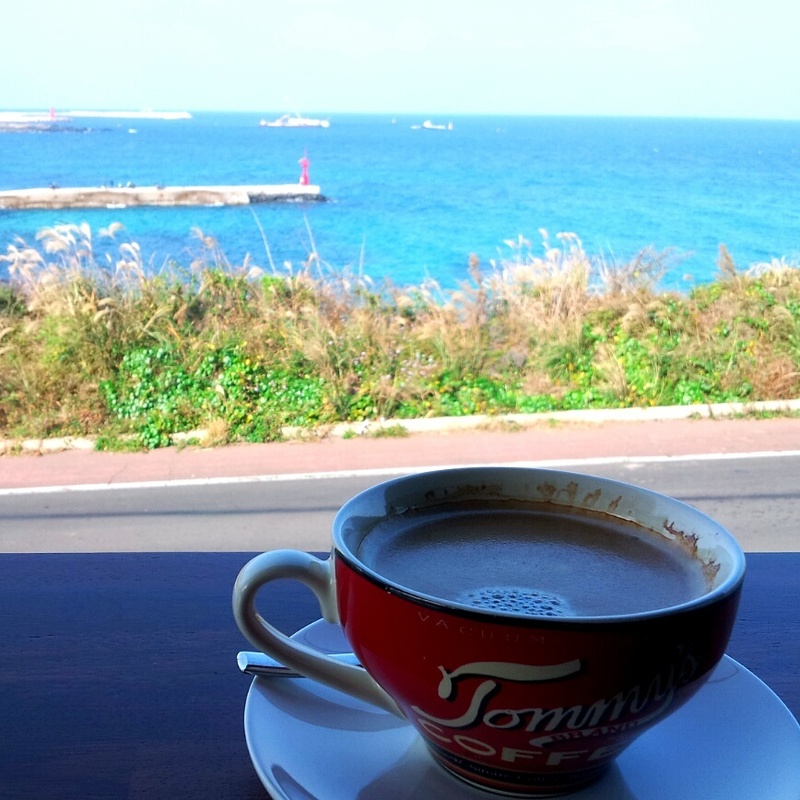 It is also an ideal place to stop and enjoy a spot of tea while appreciating the view. Wind is abundant on Jeju and located on the island’s northwest coast, Shinchang Windmill Coastal Road is a famous place for its prevailing winds and has resulted in windswept landscape of wind turbines both on shore and offshore! 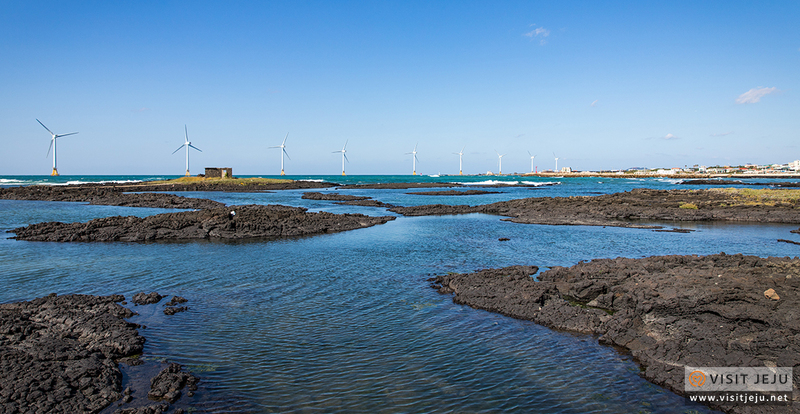 This road is sometime known as Jeju’s Middelgrunden (Demark’s offshore wind farm). Drive along Shinchang Windmill Coastal Road and you will be greeted with rows and rows of wind turbines. 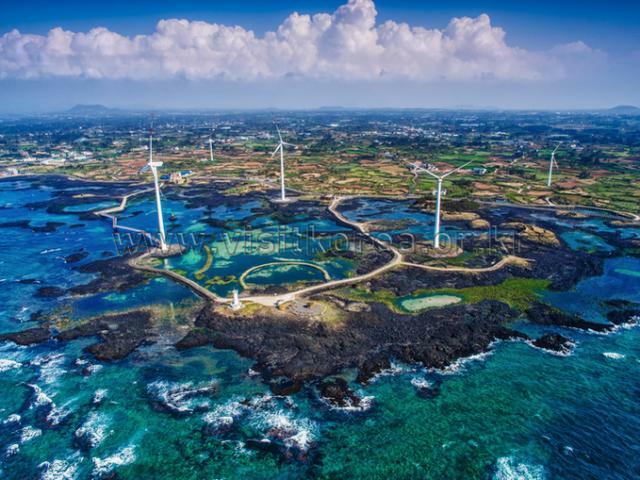 Aside from the gigantic wind turbines, drive along the road and try spotting the lighthouse and a 16m long stainless steel status of a Sawedged Perch or dageumbari, Jeju’s most expensive fish priced at 200,000 won per kilogram (approximately S$244). Hope the above recommended routes can help you in planning for your driving holidays in Korea. For those who are keen on exploring Korea through self-driving and afraid of doing it alone for your 1st time? We have good news, AA Singapore (Automobile Association of Singapore) and Lian He Wan Bao are joining hands once again to bring Singaporeans to Korea this June holidays on AA Singapore's signature autoventure holidays.